We have prepared these notes to give you help, guidelines and suggestions when preparing for funeral or burial arrangements for your loved one. We hope that these will help everything go smoothly at the Church and know that we are here to assist you. If you have lost a loved one, please accept the condolences of the Priests and staff of the Parish on your loss. Traditionally the bodies of Catholics are buried, or entombed, but in recent years as cremation has become more popular in society, the Church now does allow cremation. Preferably the cremation should be done after a Funeral service in the Church. However because of expense some families opt to have the body cremated directly after death, and then the cremated remains or cremains are bought to the Church for the funeral or memorial liturgy. The cremains are then buried or entombed. When someone dies, contact the funeral home or cremation service of your choice. They will assist and advise you. They will let you know what their charges are. There is a fee for the use of the Church for funerals, which helps maintain the Church, the priest’s salary and covers air conditioning etc. The Funeral Homes are normally aware of this charge and can add it to your bill with them so it comes out of the estate. To ensure a good Funeral liturgy it is our custom to have an organist and soloist to lead the music. There is a stipend for the organist which is included in the charge for the funeral service and your Funeral Home is also aware of this charge. The garden area behind the Church is designated as a Memorial Garden, where cremated remains can be buried. There is certain paperwork that has to be completed and notarized before burial of cremains can take place. There is a charge for the burial which helps towards the maintenance of the Memorial Garden area and for the name of your deceased beloved one to be placed on the bronze plaque overlooking the Garden on the Church wall. We know that sometimes family are in town only for a short time and arrangements need to be done quickly and we will try to accommodate your wishes as far as we can. There are however some guidelines that we have to follow with regard to readings, music and eulogies. We have a list of readings from the Bible which are suggested by the Church for Funerals. You are asked to pick one from the Old Testament, one from the New Testament and a Gospel reading. The responsorial psalm will be picked by the organist and cantor. We have a list of hymns which are normally sung at funerals, from which you can choose four. Please note that we cannot allow secular music in the Church. As sometimes we have a visiting organist substitute during vacations and sickness, music choices must be given to the Ministry Leader or parish office at least 24 hours before the Funeral. Anyone wishing to sing at a Funeral Mass (other than one of our regular cantors) must have the permission of the Pastor to do so. She/he must practice with the Music Director/organist at least 24 hours prior to the Mass. The parish will provide a Reader for the Mass, unless a family member wishes to do so. If they do so they should be familiar with the Catholic Church liturgy, and used to speaking in front of people. Members of the family can also take part in the service by bringing up the offertory gifts of bread and wine. Secular readings or poems are not allowed to be read in the Church. These can be done at the viewing in the Funeral Home or at a reception afterwards. 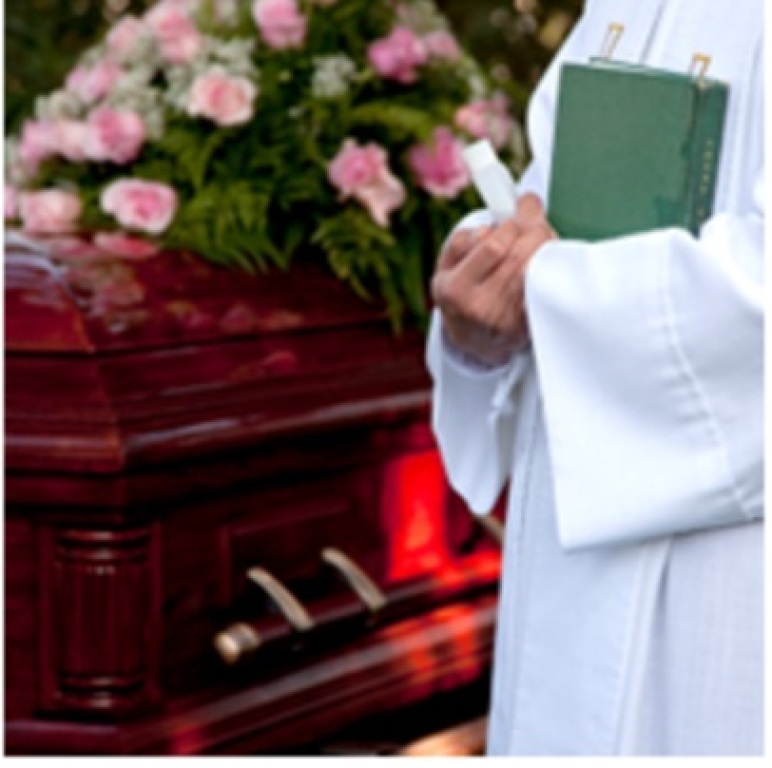 Eulogies are normally done at the viewing in the Funeral Home or at a reception afterwards. With prior permission of the celebrant a eulogy can be given when people are seated after Communion during the funeral Mass provided that it is written or typed out and no more than one page long. A maximum of about 2 -3 minutes. If there are cremated remains, a picture of the deceased may be placed on the table with the cremains. Larger collages of pictures should be placed in the entrance lobby of the church or in the Parish Center if there is a reception there afterwards. For deceased members of the Women’s Guild or longtime registered parishioners the Women’s Guild can arrange a reception after the Mass in the Church. However this depends on the Parish Center being available and sufficient notice being given to them, which is normally 48 hours. If you know approximate numbers attending, this is helpful in arranging for food. We ask that a donation be made to the Women’s Guild to cover their expenses. The parish does have a Bereavement Ministry group which meets on the last Friday of the month in the Parish Center at 10:00am. This group is often a help in assisting the bereaved family in coming to terms with their loss. To discuss arrangements, please call the Parish Office at (941) 697-4899 who will begin the process in setting up funeral arrangements. 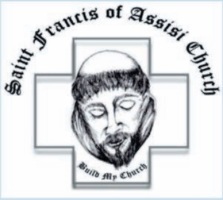 For more information on volunteering for the Funeral Mass Preparation Ministry, please complete the Volunteer Information Request Form below.